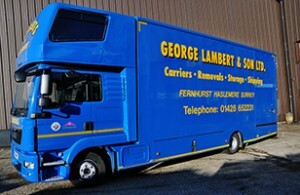 George Lambert & Son Ltd of Haslemere, Surrey is the latest company to go live on Move Administer! Neal Lambert, who sits on the BAR National & European Group Council chose a 2 user Move Administer after a successful trial period, to replace their tried and tested manual system. We look forward to being of service to Neal and his team!